This is pretty much LATE... because this message was supposed to be published last year. But for some instances and priorities, I didn't post this right away. This was during my birthday last year. 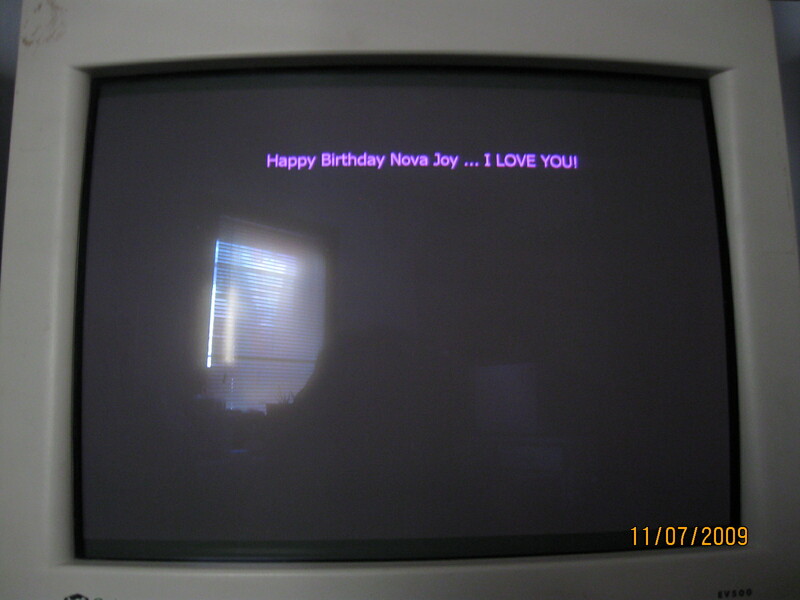 I woke up and found this message on our computer desktop. Isn't my Mahal sweet? I was really surprised with this and I could still remember that I never stopped smiling for the rest of the day. Belated happy birthday then! :) It's nice of it to show that even if it is a year late. It's a bit sad though. hehhhe sweet naman...Got you an award kuhaa ha thanks. wow!!!!!!! that's so sweet from you hubby nov..
How's the life of the brand new Mom? I'm sure you're having the time of your life kahit medyo sleep-deprived! Oh.. How so sweet your mahal. Dropping by here to visit you again. I like the Picture in the post!! Tech way back 90s? Anyways, Good Choice! Very nice message, I hope you had nice B'Day celebration with your family. My belated Birthday wishes. sweet indeed sis! i love surprises myself!